This is a big button which gives the first touch of the physical world. 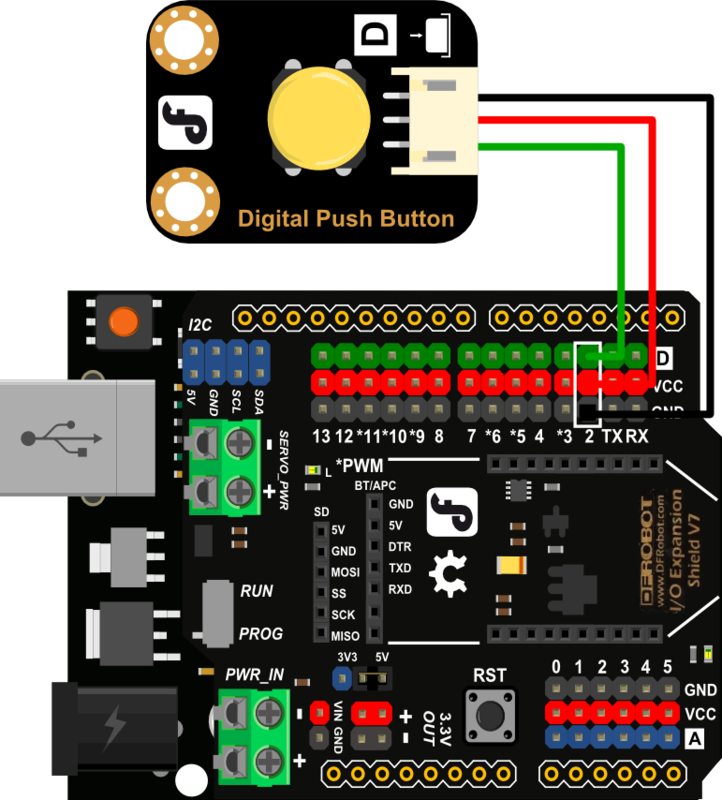 Simply plug to IO expansion board to finish your first taste of Arduino. # When you push the digital button, the Led 13 on the board will turn off. Otherwise,the led turns on. Get DFRobot Digital Push Button (SKU:DFR0029) from DFRobot Store or DFRobot Distributor.